My Oppo r815t battery has gone bad. I've searched for it but can't find it. please is the battery available in Nigeria?. where and how do I get it. thanks. That happens to me most times but all i do ignore it for a while then try it again. my oppo clover has only EDGE n has a dual sim slot; one big sim slot and another micro sim slot. I cant get it to give 3G SERVICES at all. from Nigeria. i tried all setting as i can. any help? AnonD-382599, 04 Apr 2015Hello, i'm from Indonesia, and in my country this phone is sold out. (I was luckily the last pe... moreThanks so much bro. Your explanation helped me much. 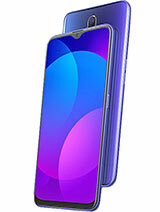 Hello, i'm from Indonesia, and in my country this phone is sold out. (I was luckily the last person to bought this phone from the central store). I've been using this phone for 8 months, and so far it's doing great. With the quad core for it's cpu and a 1GB ram,it is working fast to do my tasks. Camera, video, kingsoft office, games, and everything else is just fine. But what i like the most from this phone, is the sound it produces. 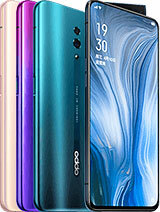 Oppo released this phone to become the music specialty among the oppo phones. Why? Beause it got a double speaker with dolby technology. So, even if you're in a loud place, you can still enjoy your music with clarity. However, the phone's battery is not so powerful, or could i say a bit weak. If i play some games, watch youtube, and use my browser, it can only stands for about 12 hours or so(based on my experience). But if i only use my browser, sms, and other communication apps, it can last for a day. The charging time for this phone is approximately 3 hours. Oh, one more thing. The phone is a bit slippery. I almost drop my phone for several times. So if you're planning on buying this phone, i suggest you also buy a rubber case. 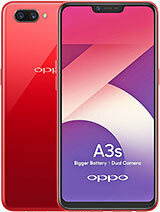 rhanma31, 16 May 2014what kind of oppo phones that are available here in the philippines? 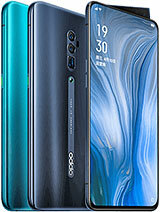 plsjust wanna know the price range of oppo units and whats the latest? 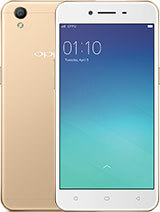 Oppo R815T Clover - Purchased from a Bangkok Thailand Oppo outlet store. Immediately updated ops system and added my favorite apps. For several weeks boot up, app use, sms text, Line sms and talk worked good. Then after 7 weeks battery kept discharging quickly. So purchased new battery, Oppo store wouldn't support warranty. Then again Oppo battery discharged quick less than 3 hours idle and talk time. Checked and stopped applications running and installed a bettery saver app but still no help. I asked for Oppo service support in Bangkok but still no help back from them. 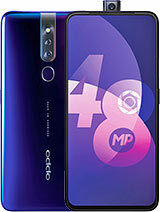 I wouldn't buy another Oppo again. Low quality battery oem. Will make formal complaint to Oppo corporate soon. No quality assurance. i've been using this phone for about 2 weeks by now. overall this phone is so great that it keeps me from rooting it. the only flaw is the built in launcher is not so attractive. Total of 24 user reviews and opinions for Oppo R815T Clover.